Exam-quality test practice for the Cambridge B2 First (FCE) and C1 Advanced (CAE) – written, reviewed and produced by English exam preparation experts. Cambridge exam coming up? Be prepared. FCE Academy Listening – available now! Lucy (Spain: CAE Academy) I've passed the CAE and I'm here to thank you for this marvelous app!! Some weeks before the exam I would practise your exercises as much as I could. It was REALLY HELPFUL!! 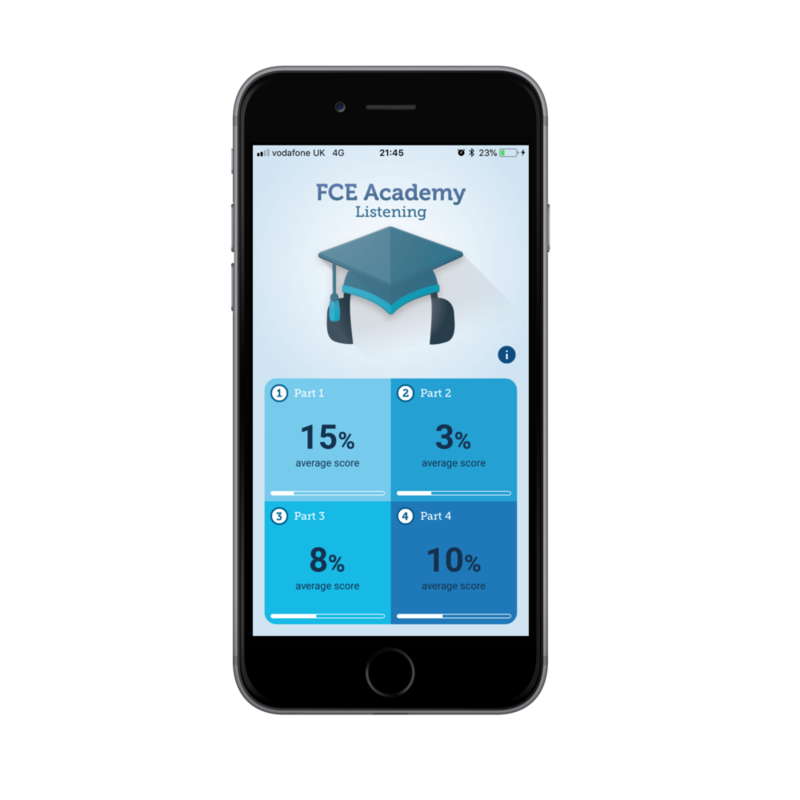 Boryana (Germany: FCE Academy Listening) What an awesome app. I wish i had this when i was learning for my FCE. I would definitely recommend this app. Andrew (England: FCE Academy) Super app! User friendly with great content. I'm a teacher and I've recommended it to all my FCE students. Marcelo (Spain: FCE Academy Listening) Excellent preparation for the FCE! Chloe (Madrid: FCE Academy for schools) Congratulations on a really nice, clear and user friendly app! Great to have such short activities for metro journeys etc and FINALLY articles about interesting themes! Saad (location unknown: FCE Academy) Great app I really needed an app like this. Brian (Peru: FCE Academy) Absolutely amazing! This is what I was looking for. Thanks for such a great app. Immaculada (Spain: FCE Academy) Very useful and easy to use It is a very simple application to practice exercises FCE anytime, anywhere. An ideal complement to traditional resource. Olga (Spain: CAE Academy) Good app! Good quality of exercises! Very easy to use!! So pleased! Thanks a lot!!! Anonymous (GooglePlay: CAE Academy) This is a really useful and practical app!! My English skills are improving!! I can study the use of English on my own, thanks to this app! Graham (Spain: FCE Academy) I use this app with my students all the time! Easy to use and up to date with present exams!